Registration for the 2019 Tri-State Dairy Nutrition Conference is now open! 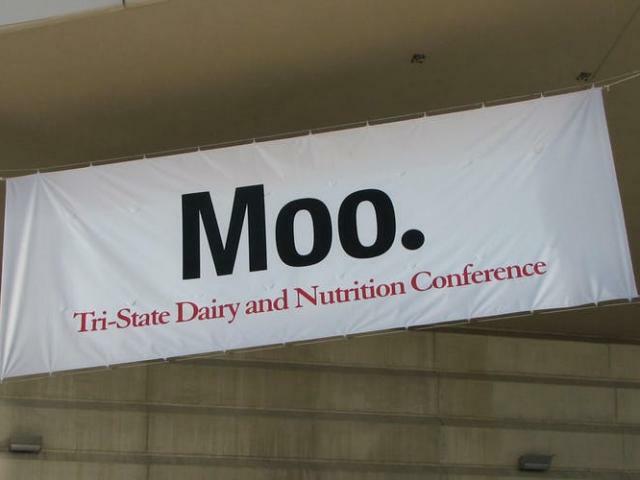 The Tri-State Dairy Nutrition Conference is a 28-year collaborative effort between The Ohio State University, Michigan State University, and Purdue University and the allied dairy industry. In 2018, 529 individuals attended the conference. Students may present at the Conference for a chance to win awards. All graduate and undergraduate students participating that do not place will receive an Amazon gift card of $100. Graduate students present their research, and the top students may receive awards totalling up to $2,250. Undergraduates can present their research or provide a thorough review of a nutritional topic; up to $1,200 may be distributed among the top presenters. Undergraduate and graduate students may attend the Conference for free, and lodging will be made available for students. Pre-registration is required. The guidelines for contestants can be found on the website. See the attached flyer for more information and a full schedule of events. Hope to see you there!